Re-energised MySpace just grabbed 1 million new users. Should Spotify be worried? Last month we took a look at how how many unique visitors social networks receive, and we came across the surprising statistic that MySpace gets more hits than either Google+, Tumblr and Pinterest. 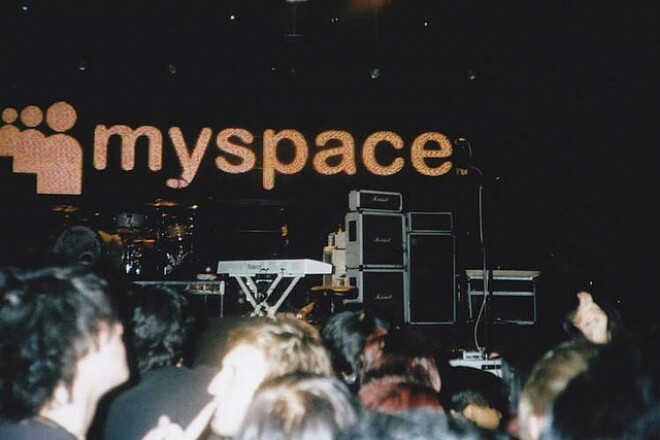 A new report from The New York Times shows that, not only is MySpace holding its ground in terms of hits, it’s still managing to grow its user base. That’s quite a turn around on the same time last year. In March 2011, MySpace made the headlines when it lost a whopping 10 million users in the space of just one month. This year, MySpace is adding users, but at a much slower rate, with an impending announcement of one million new users gained since December. The growth spurt can probably be attributed to the introduction of a new music player, as music is undoubtedly one of the features that keeps users coming back to the site. Following its sale to Specific Media in June last year for a modest $35 million, in comparison to its original $580 million acquisition price tag, Rupert Murdoch admitted that MySpace was mismanaged, and it’s possible that under its new management, new life could be breathed into the ailing network. That said, there are continuing signs that the social network is in trouble, including closing its Japan offices. However, focusing on beefing up its music features could mean that comparisons to Facebook or Google+ may no longer be as relevant as comparisons to online music services, most significantly, Spotify. MySpace announced its new music player in early December, which offers features similar to both Pandora and Spotify, making it an interesting online music alternative. The music player, which could afford to be a little bit more user-friendly, allows users to create their own playlists, listen to personalized radio, and allows users to share their music with friends on Facebook. Add a library of over 42 million songs into the mix, one of the largest available online today, and MySpace seems to be barreling straight for Spotify’s audience. In September, according to PC Mag, Spotify was growing at a rate of about 250,000 users a day, six times faster than MySpace’s current rate. That said, MySpace has been around far longer and it has just begun to find a new and positive direction. The real comparison to be made is in the music catalog. In July last year, Spotify’s catalog of music sat at around 15 million songs. MySpace, with well over double that amount of songs available worldwide and for free, makes it seem like a no-brainer for someone who is looking for a way to listen to and discover music online. And if the figures are anything to go by, 1 million new users seem to agree.